The author of this Journal joined the Royal Navy as a cadet aboard HMS Shannon on 11 September 1856 at the age of 13; he was 4 feet 5 inches tall. 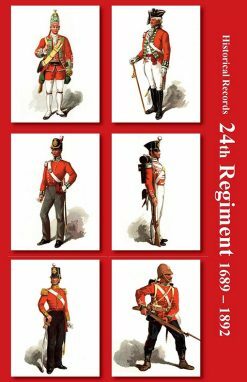 He resigned his commission i April 1863 and transferred to the Army, becoming a Cornet in the 10th Hussars. He resigned, as a Lieutenant, in the Spring of 1873 and died in 1889 just 46 years old. 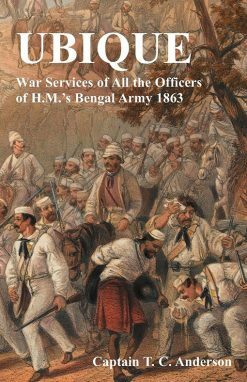 This is the story of his journey from Calcutta to Lucknow via Allahabad and Cawnpore with a naval brigade during the Indian Mutiny. The brigade was formed from officers and men of HMS Shannon and the journey was carried out on river boats, by rail and on foot – to which the naval personnel were not accustomed. 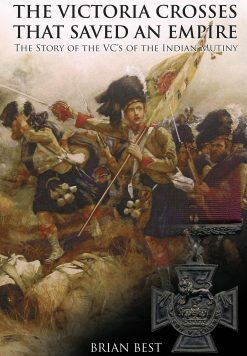 It is a remarkable journal describing the conditions and the fighting against the mutineers. The expedition began in August 1857 and ended for young Edward Watson in March the following year when was taken ill and returned to Calcutta. 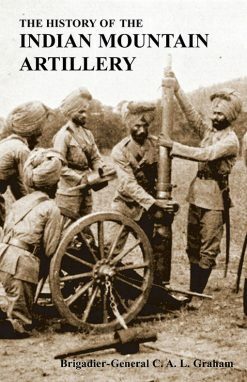 At the end of the book there are a few letters which he wrote during the march. 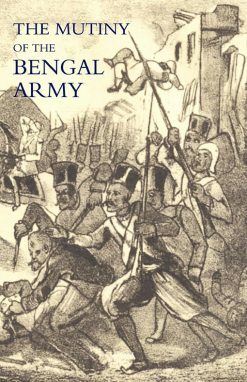 The existence of this Journal by Naval Cadet Edward S. Watson was unknown to Commander W. B. Rowbotham R. N. when he edited the definitive work ‘The Naval Brigades in the Indian Mutiny 1857-58’ for the Navy Records Society in 1947.Whilst Major-General G. L. Verney made cosiderable use of Cadet Watson’s Letters to his mother in his story of H.M.S. 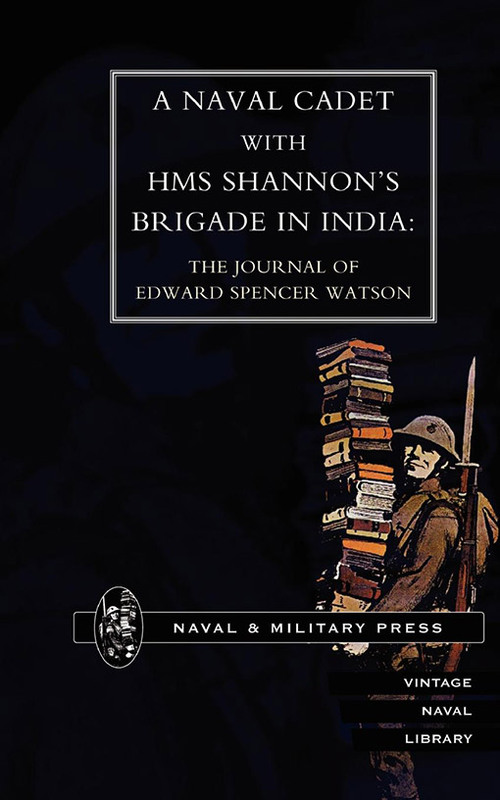 Shannnon’s Naval Brigade, published in ‘The Devil’s Wind’, this Cadet’s Journal – covering the entire period this particular Naval Brigade was ashore – does not feature in his Bibliography.Captain Oliver J. Jones R.N., who served in the Indian Mutiny as a ‘Volunteer’ with the 53rd Regiment, makes reference to the author of this Cadet’s Journal in his ‘Recollections of a Winter Campaign in India 1857-58’ with the remarks that: ‘Peel’s two aides-de-camp, two fine little mids about 15 years old – Lascelles and Watson – by name, who used to stick to him like his shadow, under whatever fire he went, and seemed perfectly indifferent to the whizzing of bullets or the plunging of cannon-balls.’ He might also have added that Lascelles was nearly a foot taller than the somewhat diminutive figure of Watson, who stood only 4 feet 5 inches in height.Edward Spencer Watson, born in Rockingham Castle, Northants., joined the service aged 13 years as a Naval Cadet aboard H.M.S. Shannon on 11 September 1856.Promoted to Midshipman exactly two years later prior to his temporary appointment to H.M.S. 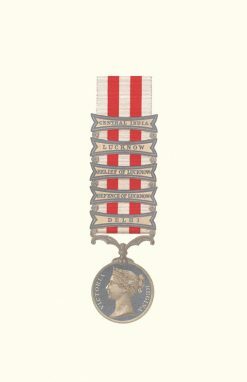 Victory when Shannon was paid off on 15 January 1859.After serving five months aboard H.M.S. Royal Albert he was sent to H.M.S. St. George in June 1860 with the rank of Acting Sub Lieutenant, but resigned his Commission in the Royal Navy on 6 April 1863.He then transferred his allegiance to the Army, becoming a Cornet in the 10th (Prince of Wales’s Own Regiment) Hussars with seniority of 12 June 1863 – receiving promotion to Lieutenant on 13 July 1867, but in the Spring of 1873 he resigned his Army Commission. He died in 1889. NMP reprint 2003. 131pp, sb.